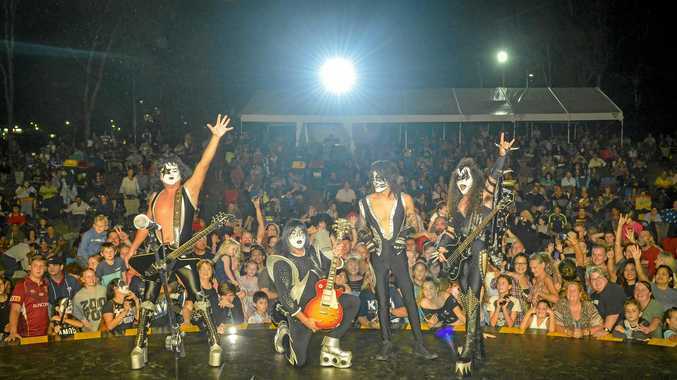 GLADSTONE Harbour Festival was at it's rocking best over the Easter long weekend, as tribute band Kisstroyer headlined the festival's Sensational Saturday Night. While rain threatened to spoil the night, it largely stayed away from the packed GPC Marina main stage as people young and old rocked along with the iconic tunes. Kisstroyer played an hour before the family fireworks, before rocking long into the night in what is sure to be remembered as one of Harbour Festival's greatest nights.